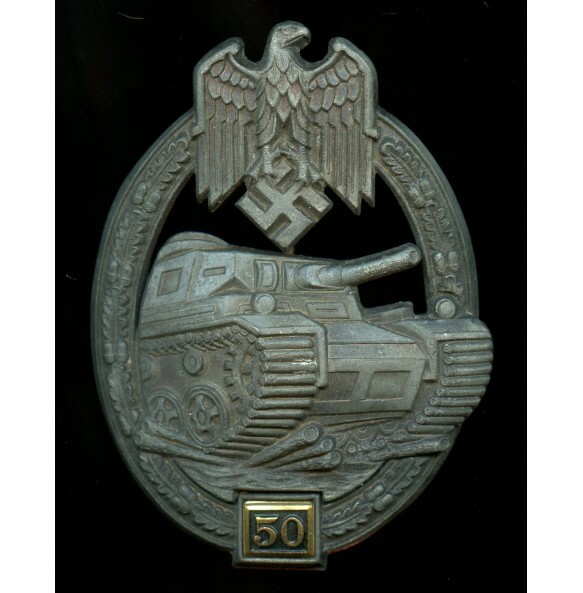 Panzer assault badge in bronze 50 assaults by Gustav Brehmer, Markneukirchen. Zink constructed wreath with soldered on zink panzer and riveted numbered box. Textbook type were the factory did not make use of any rivets. Maker marked on the reverse of the panzer with the initials of Brehmer "GB". 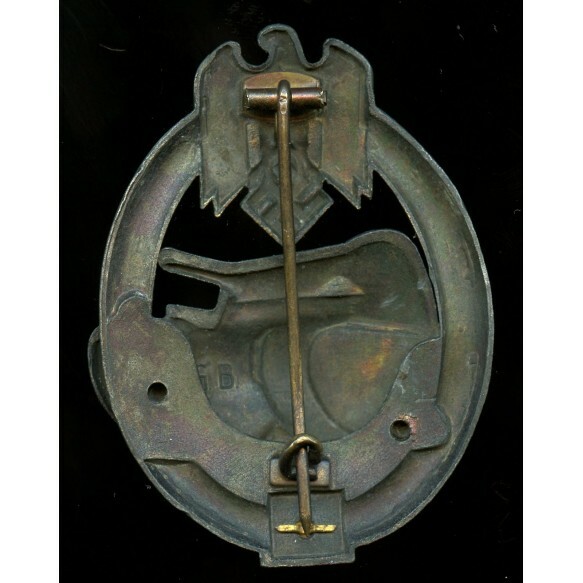 Very good condition with the faint bronze bronze intact. No repairs, no damage.